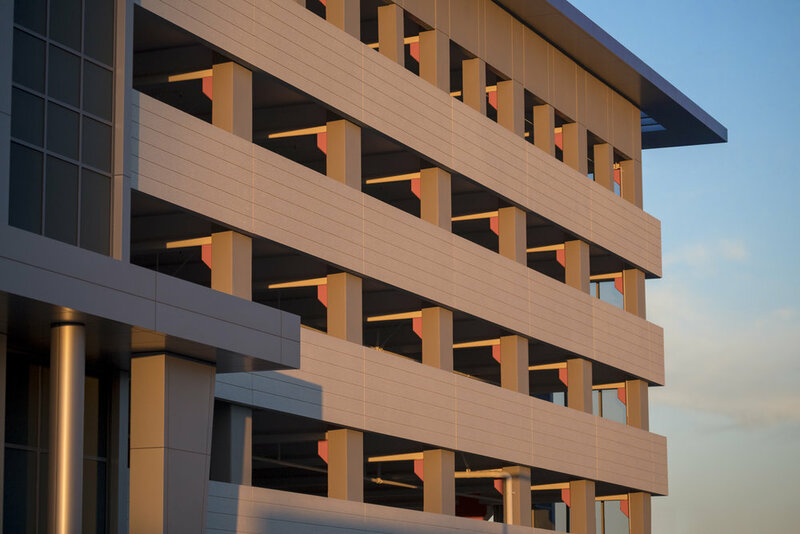 Midstate Precast constructed two 5-story parking structures in Northern California. The first was completed with precast shear walls, columns, beams, girders and a double T's. The owners original design was to use cast in place. Midstate converted it into a precast solution. This included a design of precast sheer walls that helped improve the schedule and budget. The second structure was a post and beam construction. Products included columns, lite-beams, spandrels and girders.